A full-color leaflet for children with Bible passages, puzzles and questions looking at who Jesus is and why he came at Christmas. 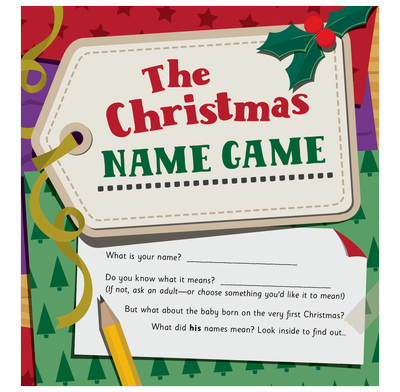 The Christmas Name Game is based on God's message to Joseph in Matthew 1 v 18-23. It looks at the names given to Mary's son—Jesus, Immanuel and Christ—and what they show us about who Jesus is and why he came.